The Tefal Gv8461 model is at the moment, one of the best selling steam generator irons on Amazon UK. With a price tag of around £210 it is certainly not a cheap option. Nevertheless it is certainly very popular with buyers. They like it a lot to make it one of the best selling iron, and rate this one at 4.6 out of 5 stars. That is a very good rating by any known standards. With an average price of around £160, it is at the more expensive end of the market. That said, it is thee best selling iron. Who Would Buy the Tefal Gv8461? ​It is a best seller for very good reasons. This model from the popular Tefal brand has stood the test of time. This is a high quality product with tons of useful features. Many homes up and down the UK have turned to this as their number one choice. ​Many of the larger ironing companies and factories are also buying these in bulk and using them. They know that this model will last for a very long time and do a very good job. ​Below I have listed the most important features of this Tefal iron. 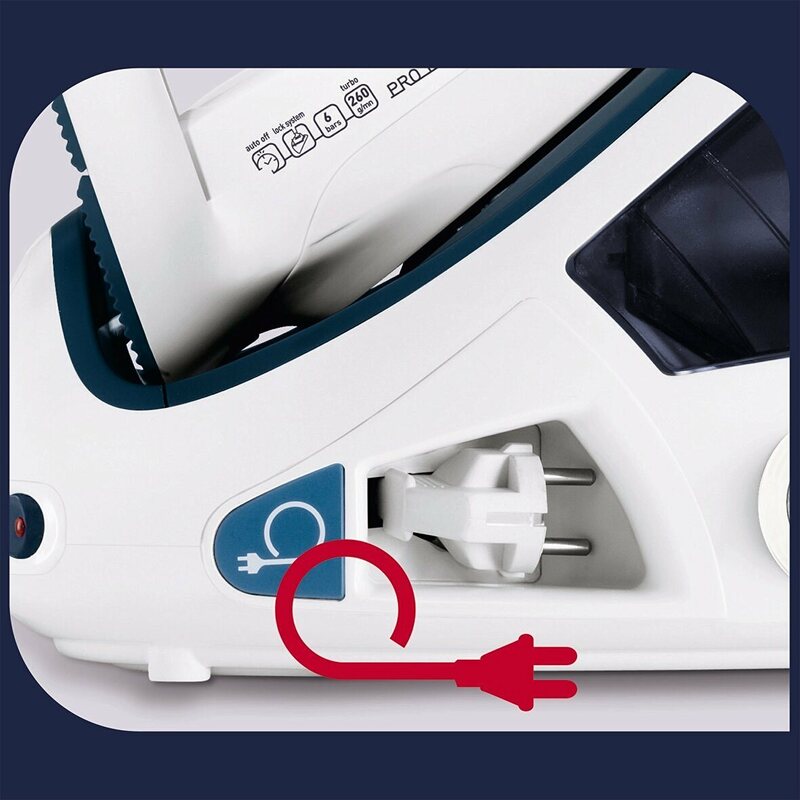 Underneath that I have then looked in more detail at the three features that make this iron particularly good, and a best selling product. As you can see this has all of the features of most standard items. Those are what I think are the basic requirements and this iron does all of them very well. However I did say that I would go into a little more detail three specific and very good features of this model. Using any type of steam iron can result in burns , especially to the hands. There is also a risk of forgetting about your iron and leaving it on. This model has an auto-cut off feature, to cut the power to the iron, if it is forgotten about. Likewise, if for some reason the sole plate is left down for more than 30 seconds, the iron will also switch off to prevent burning. These are important and I think very useful features to have in your iron. Households can get very busy, and it is easy to get distracted. The problem with many irons is that the sole plate can get sticky. That can be truly annoying. Usually this is caused by a fabric over heating and melting. That then sticks to the plate on the iron. Each time the iron gets heated up, this melted fabric sticks to anything that it touches. Tefal do make I think the best sole plates in the world. This one glides like a dream and is non-stick. 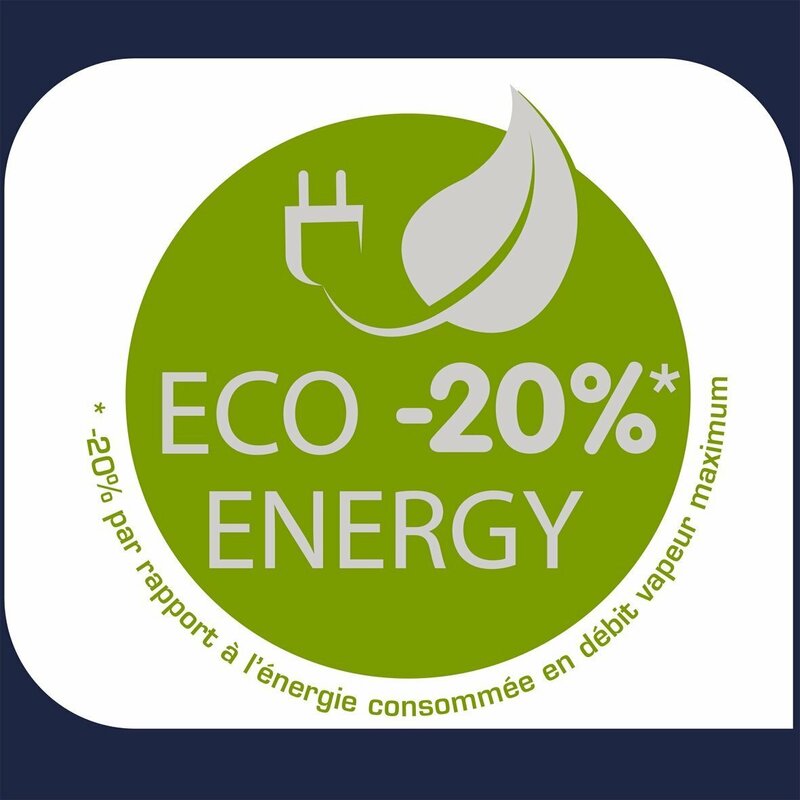 The system uses a catalytic oxidation system to transform any melted fibres into gas and steam. This sole plate has also has been made with a built in anti-drip system, and is also scratch resistant. 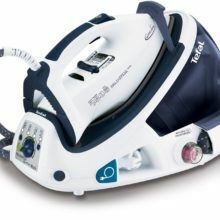 The Tefal Gv8461 model is a best selling iron for very good reasons. This model gets the highest of ratings and for very good reasons. Below I have shown a breakdown of the actual buyer reviews by percentage. That allows you to see how buyers rated this Tefal iron at a glance. Overall this model is rated as a 4.6 out of 5 stars. Around 8 out of 10 buyers give this one the full 5 star treatment. 90% rate it 4 stars or higher and only 3% of buyers gave this model a 1 star review. 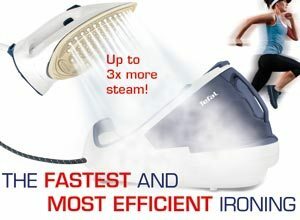 This is the best steam generator available from Tefal, and also the best selling model in the UK. If this is not the model for you, then check out our full range of Tefal Iron reviews here, or if you prefer have a look at our﻿﻿ top 10 list of all the available iron brands here﻿﻿. For quite a few buyers though, this one does remain very popular.